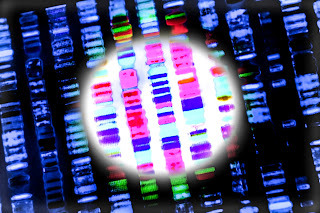 team on applying machine learning to genomics is now available as open source. DeepVariant uses deep learning to reconstruct genome sequences from high-throughput sequencing data with significantly greater accuracy than prior methods. The development team has worked closely with Google Cloud Platform (GCP) to make it easy to run DeepVariant workflows on GCP, providing flexibility and scale of execution. Below is the original announcement posted on Google Research and Open Source blogs. 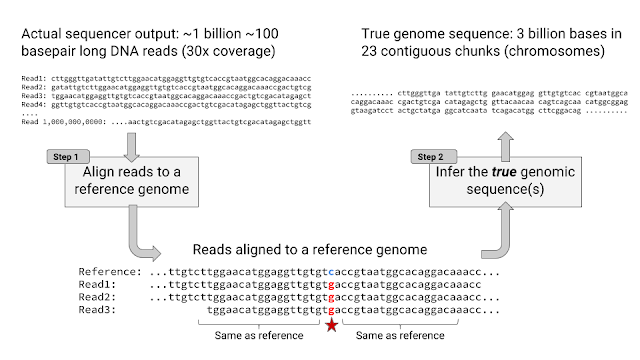 For any given location in the genome, there are multiple reads among the ~1 billion that include a base at that position. Each read is aligned to a reference, and then each of the bases in the read is compared to the base of the reference at that location. When a read includes a base that differs from the reference, it may indicate a variant (a difference in the true sequence), or it may be an error. DeepVariant transforms the task of variant calling, as this reconstruction problem is known in genomics, into an image classification problem well-suited to Google's existing technology and expertise. 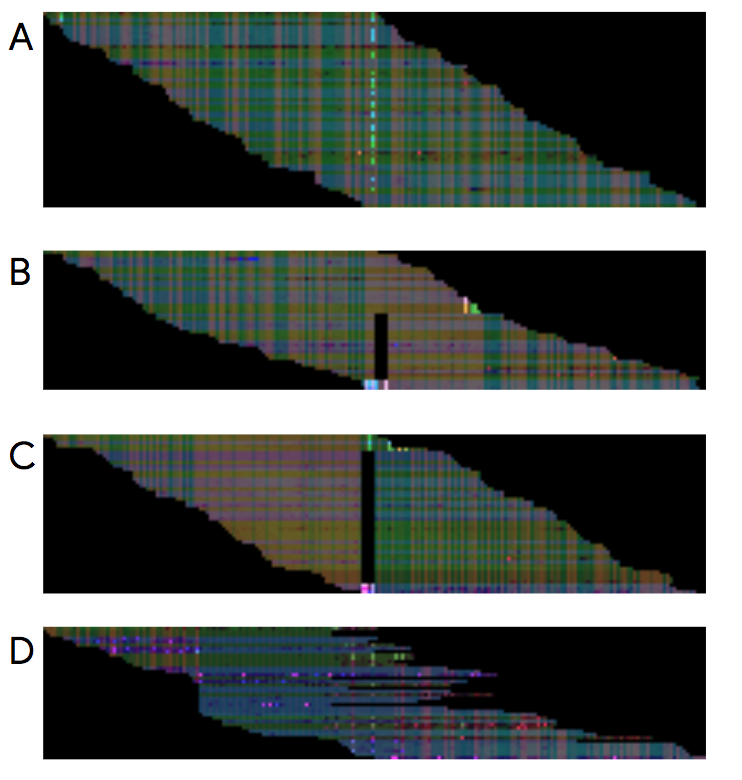 Each of the four images above is a visualization of actual sequencer reads aligned to a reference genome. A key question is how to use the reads to determine whether there is a variant on both chromosomes, on just one chromosome, or on neither chromosome. There is more than one type of variant, with SNPs and insertions/deletions being the most common. A: a true SNP on one chromosome pair, B: a deletion on one chromosome, C: a deletion on both chromosomes, D: a false variant caused by errors. It's easy to see that these look quite distinct when visualized in this manner. We are excited about applying DeepVariant to enhance analysis of samples from Verily Clinical studies, such as Project Baseline. Learn how you can run DeepVariant by reading the how-to-guide. We are delighted to share that our collaboration with the Google Brain team on applying machine learning to genomics is now available as open source. 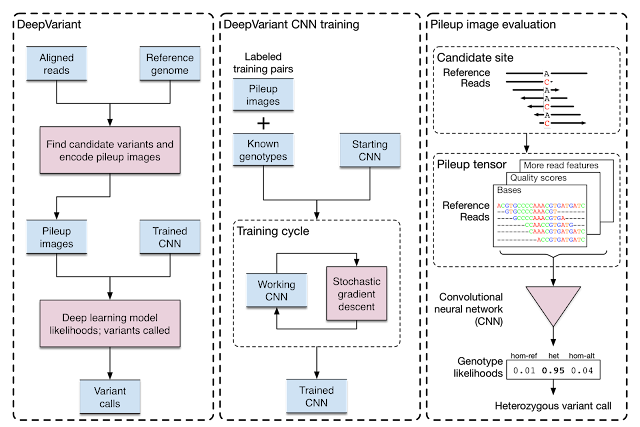 DeepVariant uses deep learning to reconstruct genome sequences from high-throughput sequencing data with significantly greater accuracy than prior methods. The development team has worked closely with Google Cloud Platform (GCP) to make it easy to run DeepVariant workflows on GCP, providing flexibility and scale of execution.